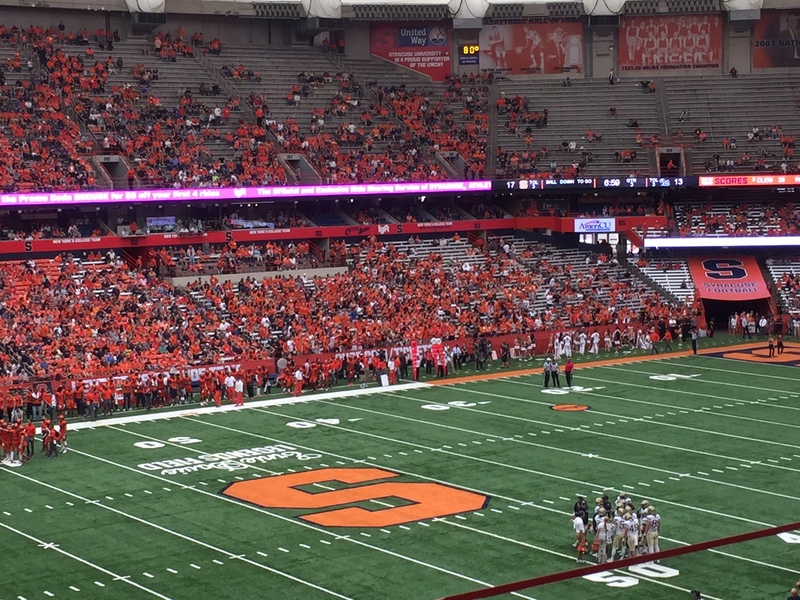 The Carrier Dome will pulse with the color Orange this evening. 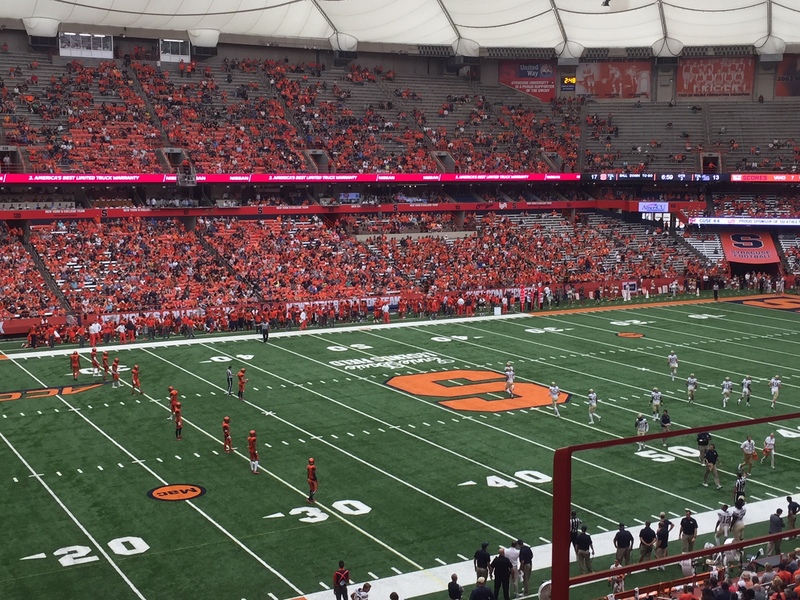 Syracuse will host defending college football national champions Clemson. The Orange vs. the Tigers, who also call that color their primary jersey go-to. The Dome was not nearly full, still. The crowds for this season have been in the low 30,000s in a stadium that can go nearly 50,000. Clemson, though, brings many fans with it on the road. So a third of the place will be rocking with Tigers fans. Syracuse was leading the Panthers when I snapped the shot above on my iPhone 6s. The home team held on to win 27-24, evening its record at 3-3. There are still bowl hopes for this season, if not great expectations to beat the undefeated defending national champs tonight. They went and went and won, MBC! good luck to your orange ! And they did it ! I watched part of that game, and was excited to see that they maintained the upset. They are calling it a “stunner” this a.m. Congrats to your Orange, Mark. It was a stunner, indeed, Van. Lots to come on the blog here tomorrow morning!